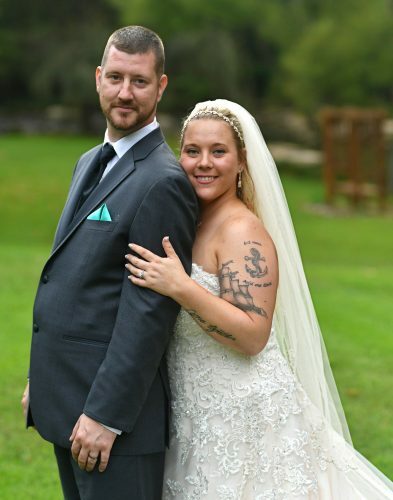 Brittney Lowey and Kenneth Saltsman were united in marriage at 3:30 p.m. Oct. 28 in an outdoor ceremony at Bree-Z-Acres Farm in Warriors Mark. 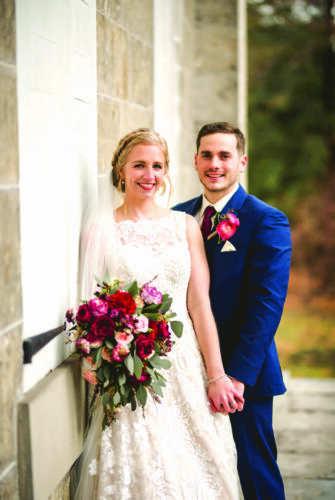 The bride is the daughter of Thayne and Amy Lowey of Duncansville. 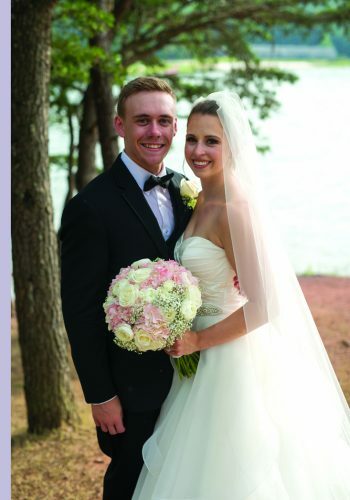 The bridegroom is the son of Mark and Wendy Saltsman of Salem, Ohio. Pastors Tom Coffee of First Christian Church in Salem and Melissa Miller, the bride’s aunt, of Winnipeg, Manitoba, officiated the ceremony. Carly Hinish of Parma, Ohio, and Mason Lowey of Duncansville, brother of the bride, read Scripture for the ceremony. Music was provided by Lou Ann Knouse on violin and Timothy Frye on guitar. 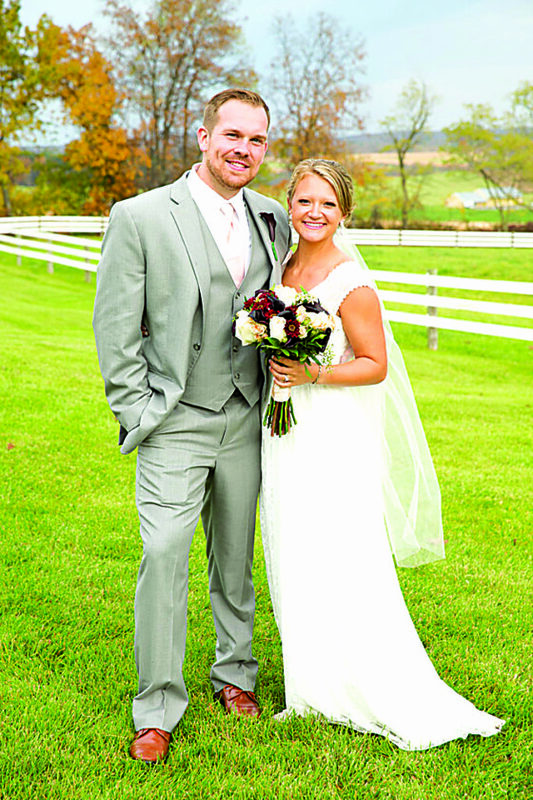 Austin Lowey of Duncansville, sister of the bride, was maid of honor. Bridesmaids were Annie Saltsman of Salem, sister of the groom; Natalie Smith of Duncansville; and Casey Woodcock of Durhamville, N.Y. The flower girl was Audrey Frye of Roaring Spring, cousin of the bride. 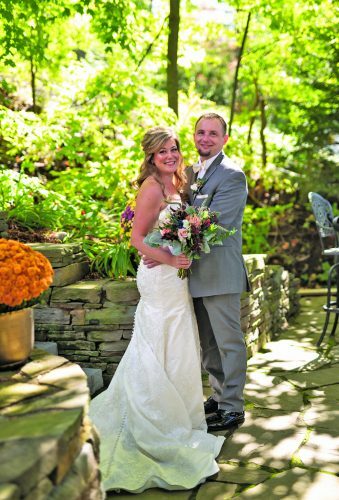 Jacob Dunlap of Lincoln, Del., was the best man. Groomsmen were Seth Lowey of Duncansville, brother of the bride; Ryan Wolfgang of Hilliard, Ohio; Larry Goontz of Spanish Fort, Ala.; Sean Syed of Mayfield, Ohio; and Jordan Haerr of Castalia, Ohio. Ushers were Ethan Lane and Tayler Stein, both of Pittsburgh, and Nathanael Zeek of Danville. The ring bearer was Logan Dowd of Sebring, Ohio, cousin of the groom. 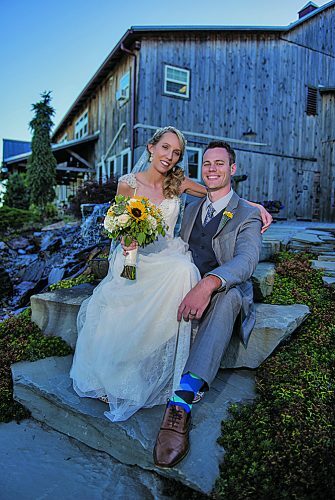 The reception was held in the renovated barn banquet facility at Bree-Z Acres. 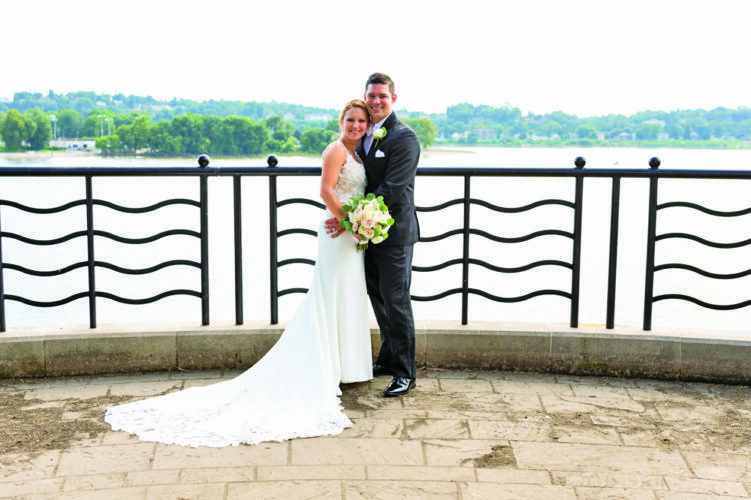 After a honeymoon in San Francisco, the couple reside in Chandler, Texas. She is studying for her master’s degree in global leadership through the Graduate School of Minis-try at Dallas Baptist Uni-versity. Mrs. Saltsman is employed as an outdoor education instructor for Sky Ranch Christian Camp and Conference Center in Van, Texas. He works in sales management for Enterprise Holdings, LLC in Palestine, Texas.